Akisol Vilamoura Village is located in Vilamoura, a 5-minute drive from Falésia beach. It offers self-catering studios and apartments in the Algarve. All feature a private entrance and access to 3 outdoor swimming pools. Set in Vilamoura in the Algarve Region, this holiday home features a balcony and a garden with a barbecue. The unit is 3.5 km from Vilamoura Marina. The kitchen is equipped with an oven. A TV is offered. Conveniently located a 2-minute walk from the beach and 500 metres away from Vilamoura’s marina, Dom Pedro Golf Resort has elegant rooms with flat-screen TVs and a minibar. 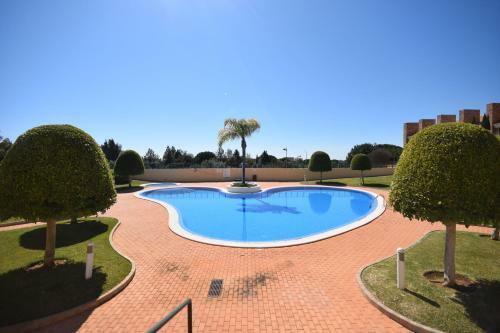 Located in Vilamoura, Olivos Del Golfe By Sun Algarve offers an outdoor pool. It is a 4-minute drive from both Oceânico Golf and Moura Golf Village. This self-catering accommodation features free WiFi.